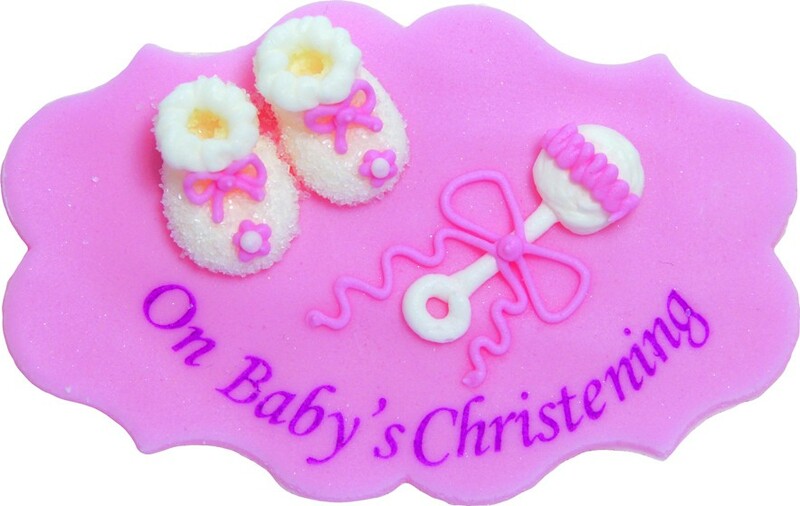 Christening Cake Decoration - Girl is hand crafted sugar decorations to add the finishing touches to your Christening Cake. 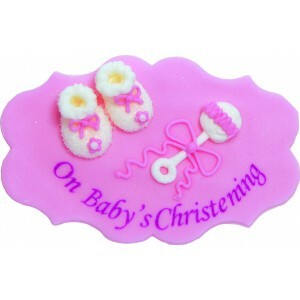 This is a bootie and rattle with the words On Baby's Christening. Each round decoration is approx 7cm diameter, is flat & arrives in it's own clear box.